Cross-country riders love bikes that are lightweight so they can ride fast on the flats and climb efficiently. The 2019 Giant Fathom 29er 1 Bike is excellent on steep climbs and can confidently descend. It starts with an ALUXX SL-grade aluminum frame that has 100mm of travel on the front. The frame geometry is designed to optimized the balance and roll-over capabilities of 29" wheels. The Fathom 1 comes with a 1x11 Shimano SLX drivetrain. Shimano SLX provides incredibly smooth and reliable shifting that many riders love for racing and general riding. The SLX cassette has an 11-46 tooth gear range so riders can climb steep terrain with ease and still accelerate on the flats. Shimano MT400 hydraulic disc brakes provide the ample stopping power needed to technical terrain and steep descents. The Giant XCT rims and Maxxis Ikon tires are tubeless ready so you can drop the tire pressure down for a smoother ride and better traction. The Giant Contact Switch dropper post allows riders to easily transition from climbing to descending by easily lowering the saddle without dismounting the bike. 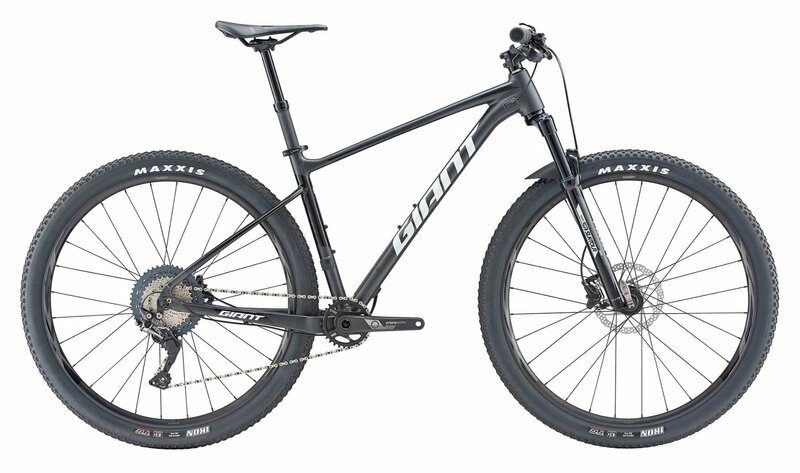 If you're looking for a great mountain bike that you can ride or race cross-country, then you'll want to get a 2019 Giant Fathom 1 29er Bike. How many water bottle cages does the small frame have?